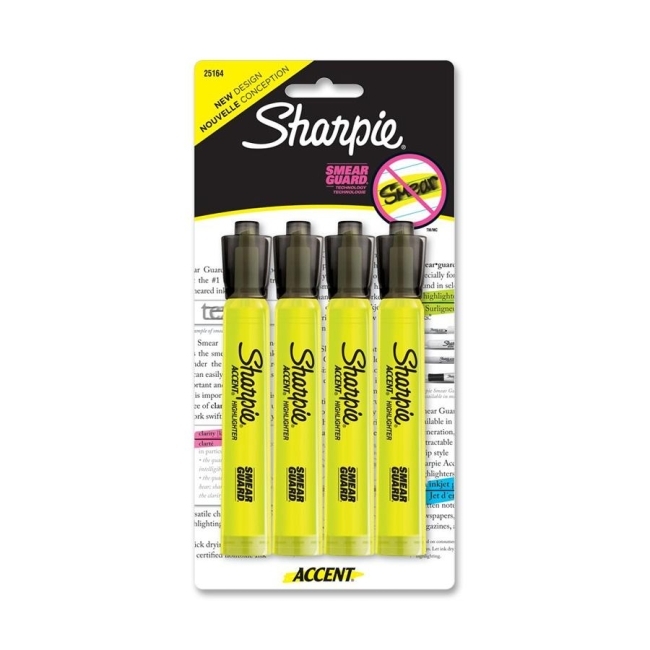 Sharpie Accent Highlighters feature a tank style and easy gliding chisel tip for a smooth highlighting experience. The chisel tip lets you highlight both wide and narrow lines of text. Smear Guard ink is specially formulated not to smear when highlighting over many pen and inks, such as inkjet printouts, written notes, newspapers and more. Bright, see-through colors make your highlighted text easy to read. Certified AP nontoxic ink is odorless and quick-drying. Let ink dry before highlighting.